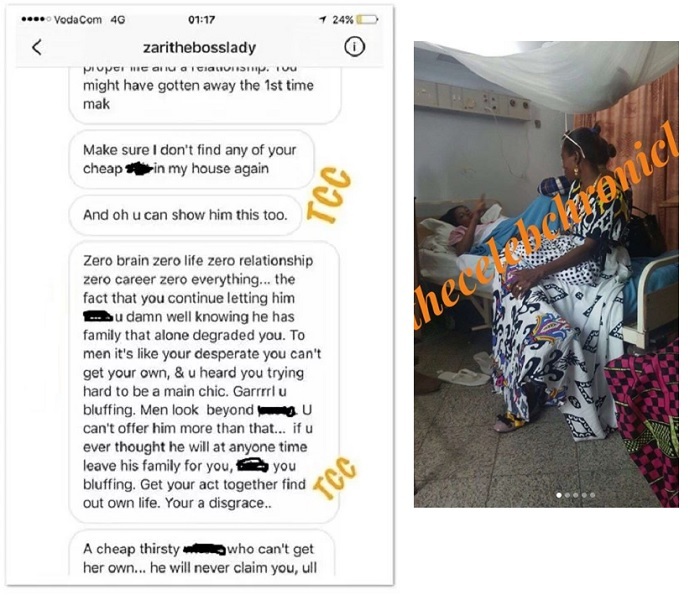 When Zari came out to clarify on who the real Hamisa Mobetto's baby daddy is, this just made matters worse. Team Hamisa Mobetto has come out all guns blazing with proof indicating that Diamond Platnumz could be the real baby daddy here. In the details that have emerged, Zari is accusing Hamisa of wrecking her marriage and wonders why she [Hamisa] cannot get a man of her own. In the screen shots between Zari and Mobetto, the mom of five wonders why the model is bent on moving out with a man who denies her in public, it just shows you are trash to him. And where does that leave you as a woman unless you are just a cheap thirsty w_-re. "You babes in TZ can't have a proper life and a relationship. You might have gotten away the first time, make sure I don't get your cheap earrings in my house again." The chats between Zari and Hamisa transpired in August 2016 and looking at the timing, it could just as well take care of the 9months when the model was carrying the baby who has now come to be named after the singer. More details will unfold as the baby marks 40 days, the day of unveiling the face to the public. Meanwhile, in the leaked shots, Diamond Platnumz mom, Sandra is seen checking on the model in hospital and Team Hamisa Mobetto is asking, in which capacity she was there? 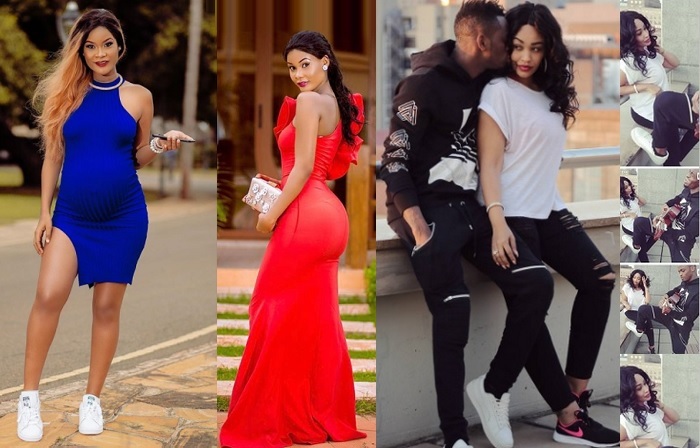 Team Hamisa is responding to the latest remarks that Zari made while commenting about the real father of the baby could be, but they also ask her to relax and just ask the singer to carry out a DNA test, this will put the matter to rest. 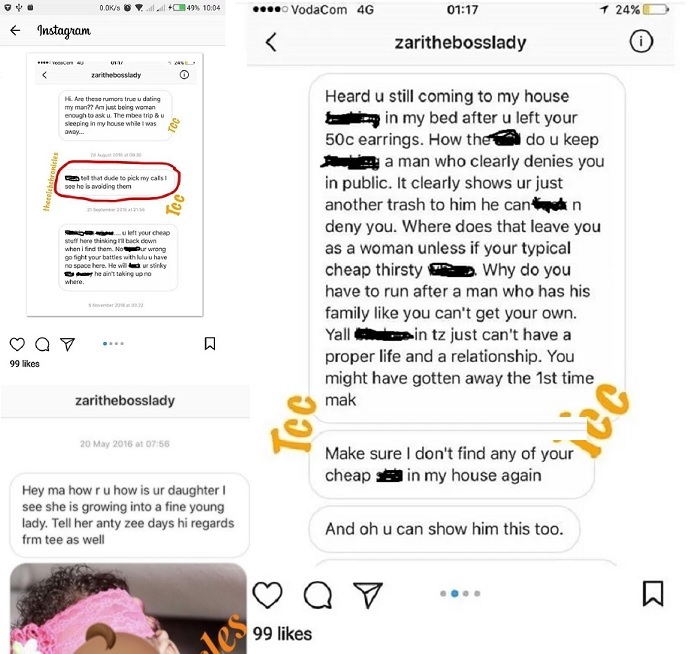 In a phone call to one of the media houses, Zari came out to say of how she put her baby daddy on the spot to tell her if it's true Mobetto's child is his, he said to me that Mama Tiffah, that is not my child, I equally suffered when my dad dumped me when I was little so I cannot subject that to my blood.